Biggie smalls was an icon of the rap game. 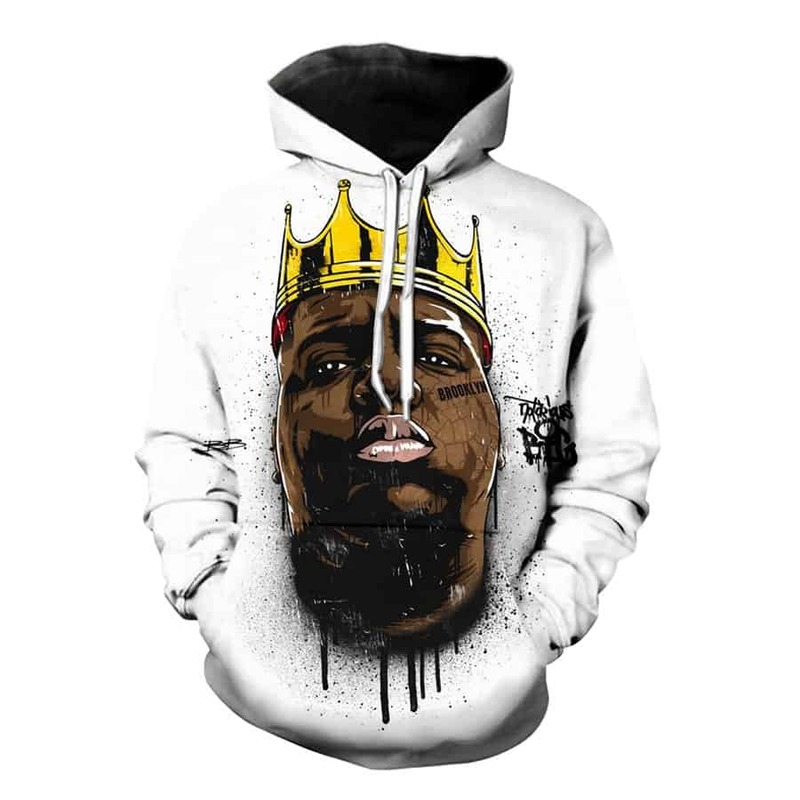 This Biggie Smalls Hoodie shows him as the king of the game. A classic image of Biggie while he wears a golden crown, with a white backdrop. The hoodie is comfortable to wear, looks fashionable and is wearable anywhere. It was designed for both male and female.